We all make new year resolutions more or less. However, often those last for a couple of days or weeks. Frequently, the treadmill or fitness cycle you buy as part of your new year resolutions is easily abandoned and gather dust in your basement. However, there are a few resolutions that you’ll not only want to make but also stick to if you care for your insurance plans. If your insurance coverage matters to you, it’s a good idea to begin each year by scrutinizing your policies as they need overhauls over time. Happenings such as switching jobs, moving to a new place, adding new members, change in vehicles, etc. compel you to revamp your policies. Nobody wants to hear that they have insufficient coverage when time comes. However, you won’t appreciate having surplus coverage than what you actually need. 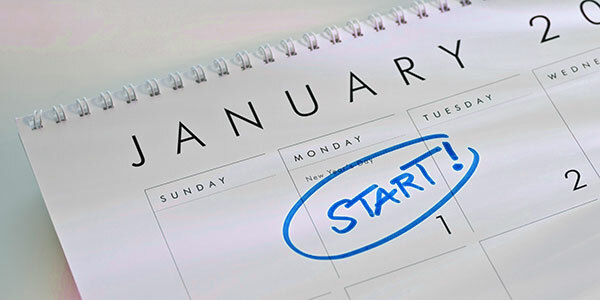 Here are some New Year’s resolutions to help you fine-tune your insurance policies. If your driving practices have improved during the past few months, let your insurance carrier know about it. If there has been no tickets in the past year, ask your insurance company for a discount in rates. You can also consider dropping collision and comprehensive coverage if your truck has become old to save some bucks. Try to keep your driving records clean in order to keep your rates low. The beginning of a year is the perfect time to revise your home inventory. You’ll need an accurate list in case you need to make a claim. If there have been expensive holiday presents, add them. If you hate writing down in papers, you can get photos or video of your possessions and then catalogue your bricks-and-mortars. You can consider a special rider to an expensive item you have got in your possession. Finally, make sure you’ve got adequate coverage in case you need to repair or rebuild your home. Try to find out ways this new year to cut back life insurance costs. Have you stopped smoking, or become healthier? Did you lose a significant amount of weight, or stopped certain medicines? You may be qualified for reduced rates. So ask your insurance provider to know. If your non-working partner didn’t have adequate coverage, this might be the time to get that. Though life insurance is there to replace lost income, a homemaker’s work has value too. According to the Federal Emergency Management Agency, or FEMA, 90 percent of major natural disasters in the U.S. involve flooding. However, a majority of homeowners tend to skip flood insurance and try their luck. If the recent historic flooding in Louisiana is still fresh in your mind, you should buy separate flood insurance if your home is at any risk from floods since most home insurance providers don’t offer protection from floods. Don’t expect federal aid will bail you out after a flood. If you are not in a declared disaster area, you may have to spend for the repairs out of pocket.